In need of a good night's rest but can't seem to reset your internal clock? You may want to go camping. 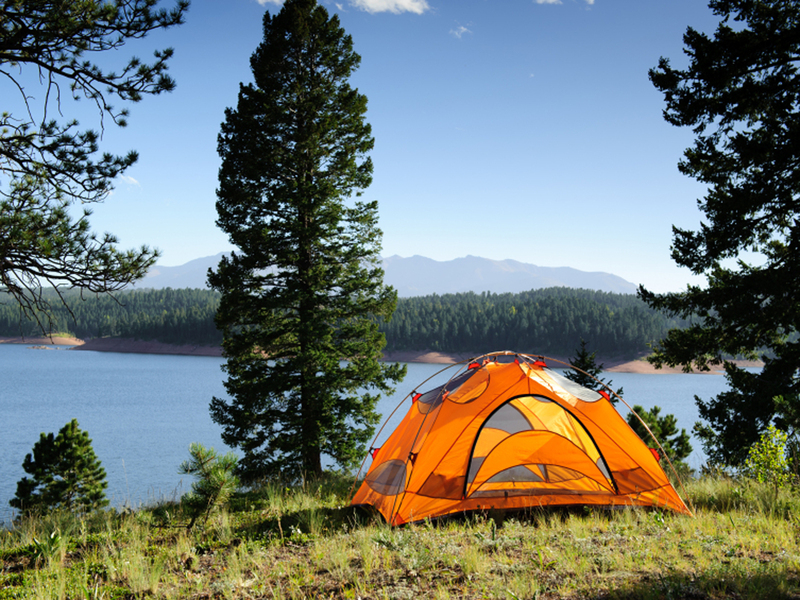 A new study shows that people -- including night owls -- who spent seven days in the outdoors with no electrical devices were able to reset their sleep cycles. Soon, they were waking and sleeping in accordance with the natural sunrise and sunsets. Previous studies have shown that electricity-powered items have affected our natural sleep cycle, which is known as a circadian rhythm or clock. A 2011 study from the National Sleep Foundation found that using electronic devices and video games before bedtime could make it harder to sleep at night. Researchers have also hypothesized that our natural sleep rhythms that are synchronized to the moon may also be negatively affected by electrical lighting. For the study, researchers recruited eight people who typically went to bed after midnight and woke up around 8:00 a.m. They were tracked for a week and wore sensors that measured their exposure to light and how long they were sleeping. They also submitted saliva samples to measure their levels of melatonin, a hormone that regulates our internal clocks. Melatonin is supposed to rise right before we fall asleep and decrease until we wake up. However, before the camping excursion, the subjects' melatonin levels stayed high several hours before they woke up. Next, the subjects were taken on a week-long camping trip in Eagle Nest Wilderness in Colorado. They were not allowed to bring electrical devices, including flashlights. The only light they got was from the sun and campfire at night. As a result, they were exposed to 400 percent more natural light than they typically saw, the researchers said. The researchers discovered that all the subjects' sleep times shifted to synchronize with the sun's schedule. That was a shift of about two hours earlier on average, but the amount of time they slept overall remained the same. "They all shifted to an earlier time," study author Dr. Kenneth Wright, director of the Sleep and Chronobiology Laboratory at the University of Colorado at Boulder, said to the BBC. "Everyone's clock shifted but those later night owls shifted to an even greater extent." Melatonin levels also changed: when the subjects woke up, their levels were much lower than when they woke up in their typical environments. Wright said he would like to try the experiment in different parts of the world and with people who have sleep problems. For people who can't make it to the great outdoors, he suggested starting your day out with a walk outside and taking a break from all those electrical devices. "At night reduce lights in the house, dim computer and electronic devices. We are sensitive to dim light levels, even the light from cell phones in the evening hours is a cue that pushes our clocks to a later time," he said. Katherine Sharkey, a sleep doctor at Brown University, told NPR that she uses that method to help treat some of her patients with sleep disorders. "We use bright light in morning to advance circadian rhythms," she said. Sharkey, who was not involved in the study, said the new research was "clever" and teaches us that our unnatural environment has an effect on our lives. "When we flick on those light switches, there's a biological effect, beside just letting us watch TV or read," Sharkey says. "The light does things to our body's clock -- not necessarily bad, but just different." The study appears August 1 in Current Biology.